"Caged parrot speaking on master's voice"
Mr.AGL Kaul is the investigating officer in Jutin John murder case. There are many similarities with Aarushi murder case investigation. c) In the same year closure report filed by CBI in both cases. d) Way of investigation is almost same to protect culprits. 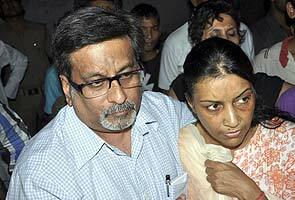 Aarushi Talwar murder case: senior told me not to arrest mother Nupur, CBI officer tells court. Ghaziabad: The CBI officer who led the investigation the Aarushi Talwar- Hemraj murder case today said the despite evidence against Nupur Talwar, he was asked by his senior officer not to arrest her. This latest revelation comes a day after the CBI officer told the court that dentist Rajesh Talwar had found his daughter and his domestic help in "objectionable position" and killed them using his golf stick and a sharp-edged weapon. Deposing during cross-examination in a special court in Ghaziabad yesterday, CBI Additional SP AGL Kaul, who led the second probe team, spoke of the motive behind the sensational double murder of 14-year old Aarushi and Hemraj at the Noida residence of dentist couple Rajesh and Nupur Talwar on the intervening night of May 15-16, 2008. SP Kaul said according to his investigation Rajesh Talwar was awake in his room at 12 midnight. The time of murders, according to the post-mortem report, is between 12-1 AM. The officer claimed that according to his probe Hemraj was attacked in Aarushi's room on her bed, taken to the roof, and dragged to a corner where his throat was slit. Explaining the sequence of events which took place on the fateful night, SP Kaul said Rajesh heard some noise and went to Hemraj's room but did not find him there. Kaul said he also wanted to name Rajesh's brother, Dr Dinesh Talwar, and Dr Sushil Chaudhary, a friend of Dinesh who had tried to influence the Ghaziabad police by calling up the DCP, in the chargesheet. CBI had finally filed a closure report in Ghaziabad court on December 29, 2010, saying Rajesh Talwar was the main suspect but they did not have enough evidence against him. Kaul's revelations came while he was being cross-examined by defence counsel Tanveer Ahmad Mir in a Ghaziabad court. He was asked about the agency's decision to file a final report in the case and that the CBI director had the final authority on the matter. To this, Kaul replied, "It is wrong to say CBI Director takes the final decision in every case. My superiors Neelabh Kishore and Javed Ahmed were of the opinion that a closure report should be filed but my opinion was that we should file a chargesheet against the accused." Asked by the judge to clarify his statement, Kaul said, "In the case diary, I recommended filing chargesheet against the accused (Dr Rajesh and Nupur Talwar) and Dr Dinesh Talwar and Dr Sushil Chaudhary but my senior officers Neelabh Kishore and Javed Ahmed felt they (CBI) did not have sufficient material to file a chargesheet in this case. So I filed a final report". CBI sources confirmed that Kaul, who was IO in the special investigation team formed for the Aarushi case, had indeed given his opinion on the file that a chargesheet should be filed against Dr Rajesh Talwar. A case file goes to all seniors in CBI and all officers give their opinion in writing. Kishore and Javed Ahmed had given their opinion in writing that the agency should go ahead with a closure report. Their opinion was backed by CBI director A P Singh at that time, said sources. "In CBI, every officer has the freedom of giving his views but the final decision is that of the competent authority," said a senior CBI officer. Tanveer Ahmad Mir told TOI, "This was a special investigation team and his statement clearly proves that Neelabh Kishore and Javed Ahmed considered that there was no triable evidence against my clients but Kaul had this ambiguous perception that a chargesheet should be filed. Seniors' opinion suggests that the parents were framed". On the defence's allegations that CBI had framed the Talwars, Kaul said in court, "It is wrong to say that accused have not killed Aarushi and Hemraj and that they did not drag Hemraj's body up to the terrace. It is wrong to say that the accused were sleeping in their room that night and they came to know about Aarushi's murder only when they woke up the next morning. It is wrong to say Aarushi and Hemraj were not hit by a golf stick on their heads and that the accused have cooperated in the investigations." NEW DELHI: The CBI officer who investigated the 2008 Aarushi-Hemraj murders sensationally told the court on Monday that instead of a closure report, he wanted to file a chargesheet against 14-year-old Aarushi's parents — dentists Rajesh and Nupur Talwar — but was shot down by his superiors. Additional superintendent of police A G L Kaul, who was CBI's second investigating officer in the case, said in court that his superiors at that time, SP Neelabh Kishore and joint director Javed Ahmed were in favour of filing a closure report. om Aarushi's room. The door of the room was not locked and was just shut. He opened the door and found Aarushi and Hemraj in objectionable position on Aarushi's bed," SP Kaul said in his testimony. Rajesh Talwar hit on Hemraj's head with a golf stick. When he struck again, Hemraj moved his head and the stick hit Aarushi on her forehead. The officer said the noise woke Nupur Talwar who rushed to Aarushi's room. "By that time the injured Hemraj had fallen from the bed. Both checked Aarushi's pulse and found her near-dead which scared them and they decided to kill Hemraj so no one discovers the incident," SP Kaul said before the court. He said, the husband and wife decided to hide Hemraj's body and dispose it when they had an opportunity to do so. They wrapped Hemraj's body in a bed-sheet and dragged him to terrace where they slit his throat, covering the body with a cooler panel, Mr Kaul said. He said after coming to the room, they dressed up the crime scene by arranging the bedsheet and toys. They slit Aarushi's throat, to ensure that wounds on Hemraj and their daughter looked similar, and Nupur cleaned Aarushi's private parts, he said.